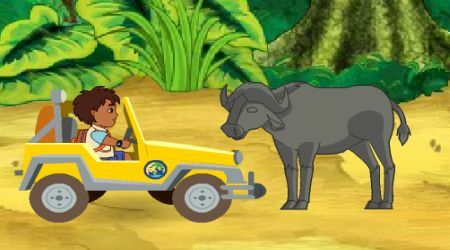 Choose any map in Africa where you want to start rescuing animals, Control your vehicle by moving the mouse around. Pass through ramps and speed arrows to perform tricks with your jeep. Avoid obstacles, they will slow you down! Grab every animal you see to rescue it. 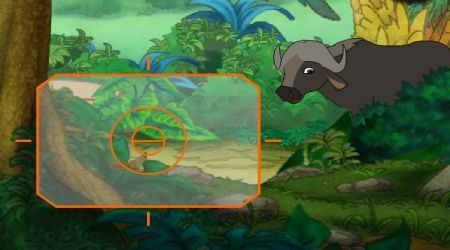 In the outpost, you can take snapshots of animals by moving the mouse then hitting the left mouse button at the right time. You can choose the best picture you have taken afterwards. Remember that you have only twelve shots so use the film wisely.